The founder of Bostwick, John Bostwick, Sr., born in 1859, grew up on a farm in Morgan County. After graduating from the nearby University of Georgia in 1883 with a degree in Engineering, John Bostwick taught at the rural Braswell School which he had attended as a boy. In 1885 he married Susie Green, turned from teacher to farmer, investing his savings in land, which was then available at $ 2-3 an acre. He became a successful cotton farmer at a time when cotton did very well, and in 1892 he started a small mercantile business on his land. In 1901 he also constructed a cotton oil mill, which soon became known as the Bostwick Manufacturing Company; he then helped establish a spur-line from the Central of Georgia Railroad, which connected his property and business to the regional transportation network. John Bostwick continued purchasing land around his business and divided it into 122 lots for residential development; commercial lots were surveyed along the frontage opposite the supply company. The town of Bostwick for most part belonged to John Bostwick Sr.
With the train running through town, John Bostwick in 1902 built a hotel so that people could stop for overnight trips. The bricks were made from clay from Bostwick's own property. It seems like only the upper floor was used for hotel rooms where nine rooms opened off the central hallway. The original kitchen, dining area, and lobby were located on the ground floor along the northwest side. Additional rooms, apparently used for an apartment for the hotel manager and his family, were also on the ground floor. Bathrooms were located at the rear on both the ground and upper floors. The rear of the second floor was devoted mainly to a Masonic Hall, which Bostwick, an active Mason, provided for the local lodge (the masonic lodge has since moved across the street). The southeast side ground floor was used for commercial purposes from the beginning. The space consisted of a single room, separated from the original hotel lobby, kitchen and dining room by a plank partition wall. The store was conceived of by John Bostwick, Sr. as a provision store - a use that continued under various owners through the 1970s. Under and with rail-mounted ladders, most of which remain in place today. There was also a screened store office window, at one time located near the entrance, dating from approximately 1915 but now moved to the rear of the lower floor. A well to the north provided water, pumped by a small engine to a steel cistern above. Water was then supplied by gravity to both the floors of the adjacent hotel. As John Bostwick, Sr. had hoped, traveling salesmen stayed for a night at the hotel, eating in the downstairs communal dining area and sitting around the front lobby. 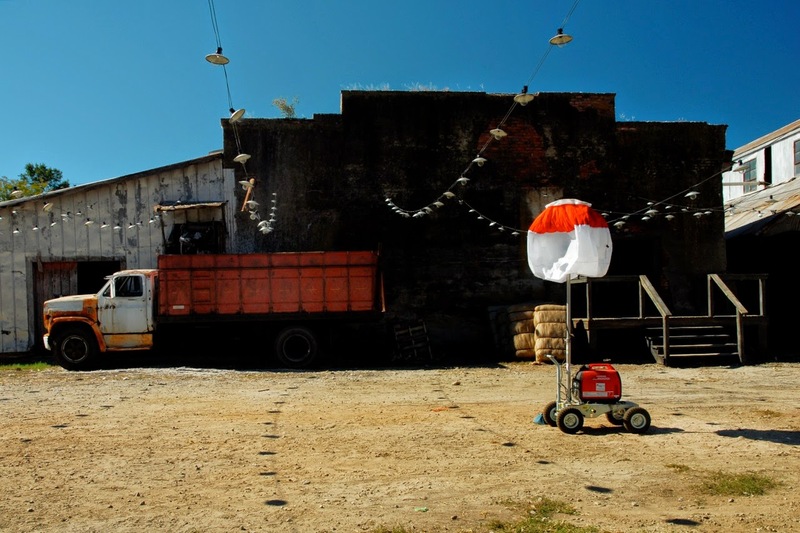 The store met the provision needs of the community. 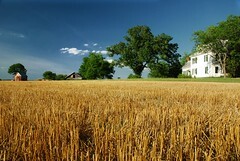 Local farmers received credit and paid bills in the store, a practice passed on to successive owners. In the 1920s, when cotton was king, Bostwick thrived. The town had two cotton gins, a cotton seed oil mill, a depot and train station, a bank, a hotel, a dry cleaning business, three doctors, a blacksmith shop, post office, and three businesses with gas pumps. Two of the gas pumps, long out of order and slowly rusting away, still stand guard on Ruark Lane today. 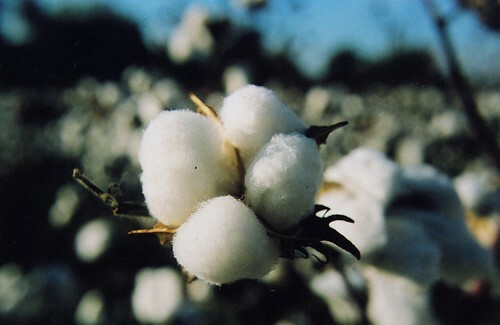 World War I, the ensuing economic crisis, the bollweevil and the sudden decline of cotton prices reversed Bostwick's fortunes. 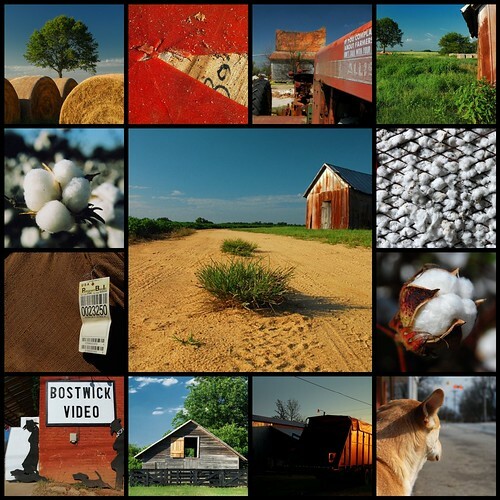 Overextended like many other cotton farmers and processors, Bostwick was forced to sell off parts of his substantial commercial holdings but he continued to play an important role in the economic development in Morgan County. Descendants of John Bostwick, Sr. still live in town today. The Bostwick Gin is one of the few operational cotton gins left in Georgia. Sitting idly by the side of GA 83 for most of the year, it is inspected and repaired every fall and fired up for the cotton harvest which typically starts around the time of the Annual Cotton Festival which takes place every year on the first Saturday of November, and features a road race, parade (including a most impressive accumulation of tractors), arts, crafts and food. The cotton mill is in operation during the festival and visitors are invited to file through the old gin to see how this all works. It is loud and dusty but well worth the trip. All proceeds from the festival go toward the continuing restoration of the Susie Agnes Hotel. 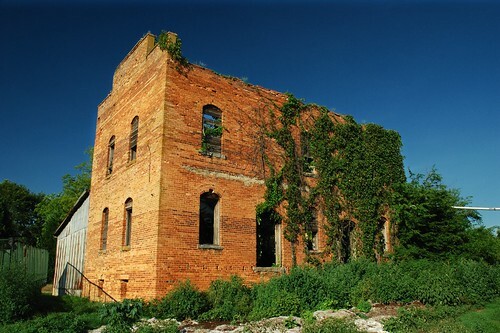 This abandoned structure adjacent to the cotton gin was once used to store fertilizer. The railroad spur ran to the right of the building (between the building and the gin). 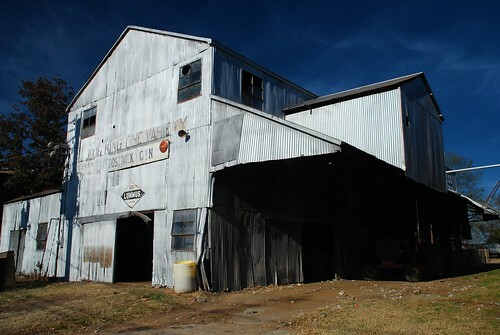 The building is often mistaken for a cotton warehouse, but Bostwick never had one. 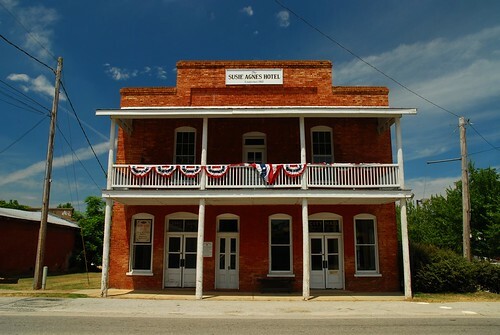 The Susie Agnes Hotel, added to the National Register of Historic Places in 1994, is an example of a turn-of-the-century commercial and hotel building typically found Georgia's smalltowns. The building was designed by W.D. Calvin, a local Morgan County architect and builder who also designed several other buildings in Bostwick. The building was originally used as both hotel and commercial space as well as a meeting space for the local Masonic Lodge. It serves as the City Hall today. The Bostwick Supply Company, the area country store that once also housed the local post office and bank, had remained in operation as a general store and later, video rental, until March 2009. You could stop by to pick up a few nails, buy some hoop cheese, marvel at the collection of old stuff and remnants of the bank inside the store, pet Ringo the dog, and then grab a hot dog and a coke and hang out on the porch to watch the world go by. If you'd hang out long enough you could catch one of the Ruarks stopping by, and you could talk cotton; but eventually, the bad economic times and a crumbling building forced the store to close its doors for now. 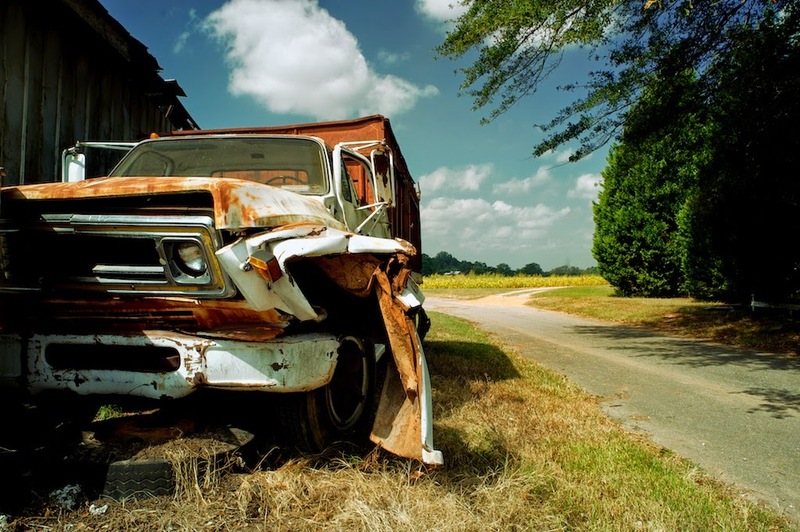 Today, it stands abandoned, but no less proud. 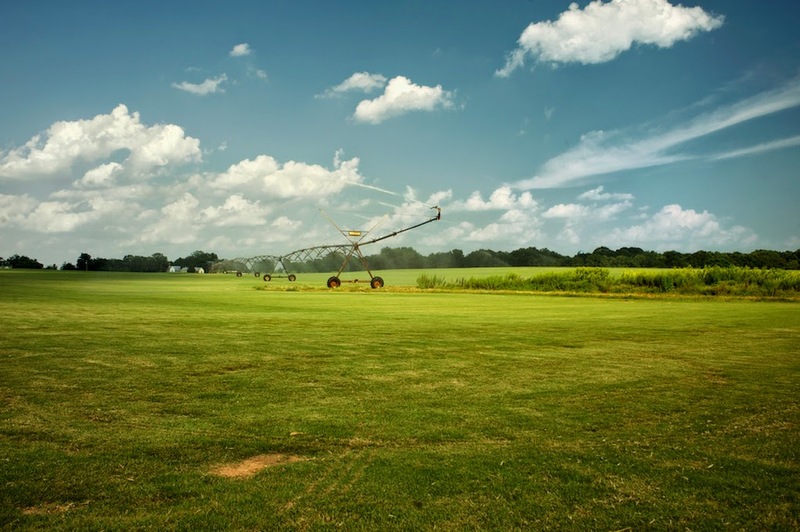 Agriculture: Bostwick is surrounded by lots and lots of farmland, thankfully still untouched by sprawling Atlanta. 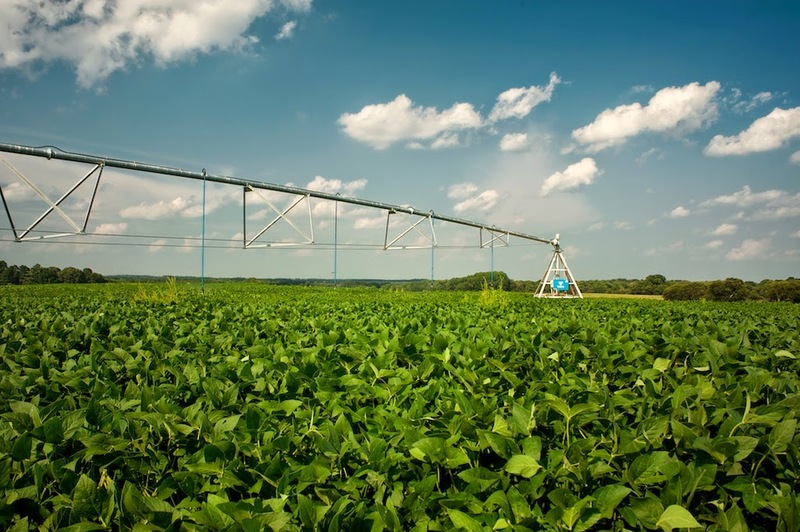 Just north of town lies the Ruark Sod Farm, which attracts migrating birds and bird watchers in spring and fall. 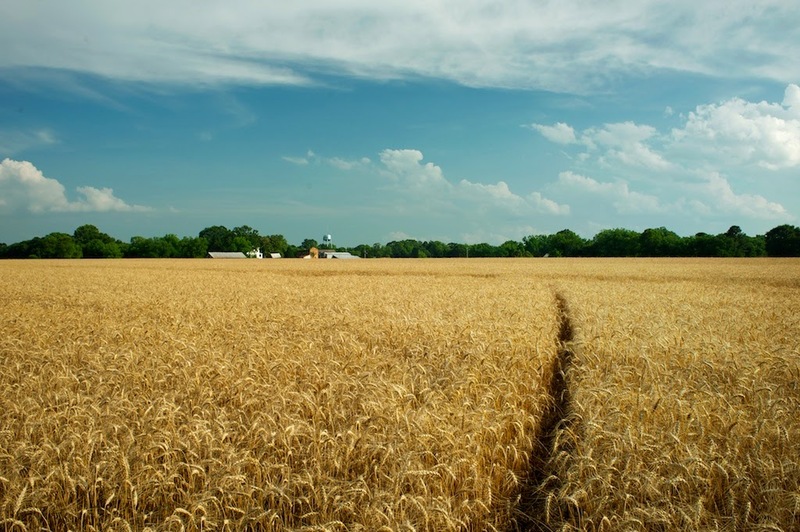 Other fields grow rotating crops of wheat, soybeans and cotton. 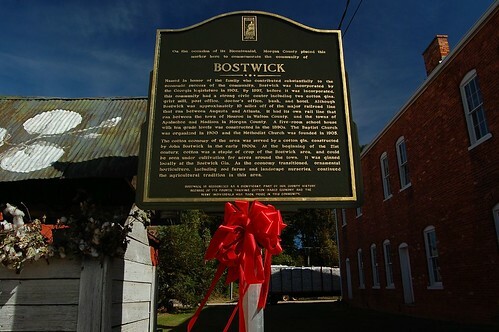 On October 22, 2002, the entire historic district of Bostwick was added to the National Register of Historic Places. A historic marker was unveiled during the 2007 Cotton Gin Festival. Hope remains that although funds are low, all the buildings will eventually be restored. In October 2010, Hollywood descended upon Bostwick for a second time (first time was for the 1992 movie "My Cousin Vinny") to film the remake of "Footloose" featuring Kenny Wormald as Ren and Julianne Hough as Ariel (it also features at least one local that I know of: one of the workers feeding cotton into the gin called out "hey, Ren!" and they liked it enough to cut him a check and make it official). 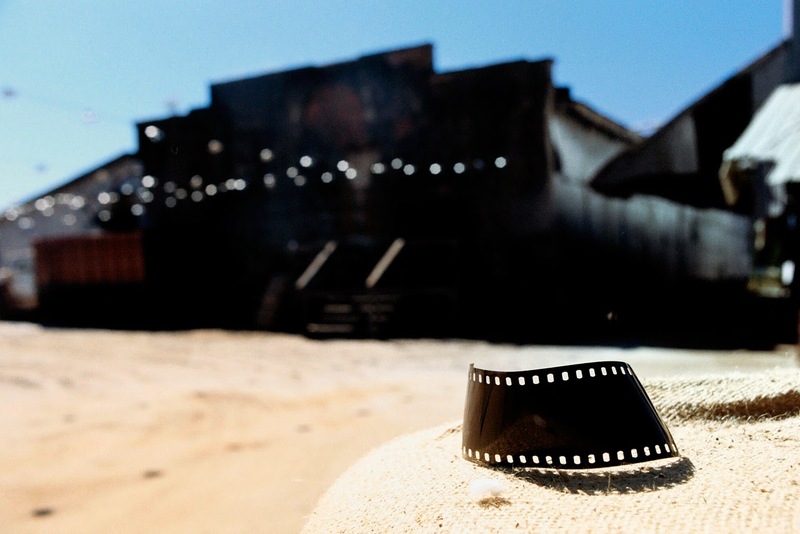 The cotton gin kept on ginning for most part, and in the end was able to keep a wooden platform that was built at the entrance to the cotton seed building, where the dance scene was filmed. 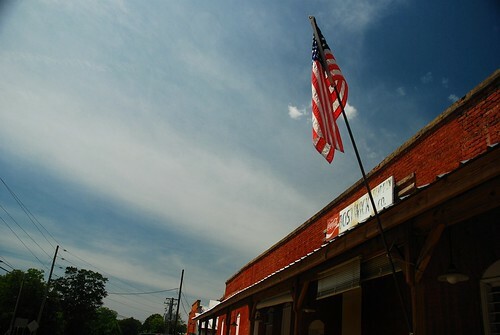 While some buildings continue to decay (the roof of the Bostwick Store has now collapsed), and the old cotton seed truck has taken a hit, cotton is still alive here, the Cotton Gin Festival is as popular as ever, and photographers continue to visit this gem of an American smalltown. Some changes took place in the fields behind the gin: the cow pasture was turned into a field with rotating crops, trees were cut down and a huge irrigation system was installed. 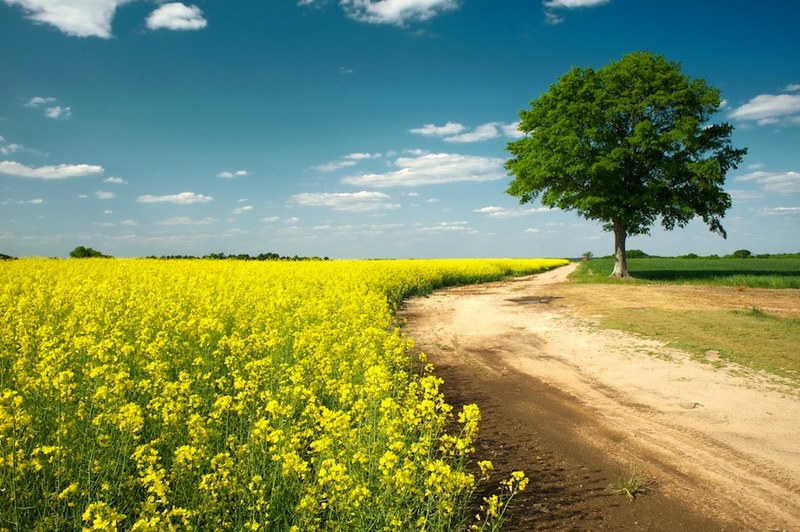 I get much joy out of watching these fields change through the seasons, switching between wheat, soy and corn, and, in April 2013, a spectacular canola field. Bostwick, GA is located in Morgan County, Georgia, midway between Madison and Watkinsville, on GA 83.